Advanced optical fibre networks using Point-to-Point or Point-to-Multi point architrectures, requires high density fibre distribution points to supply FFTX services to the customers. 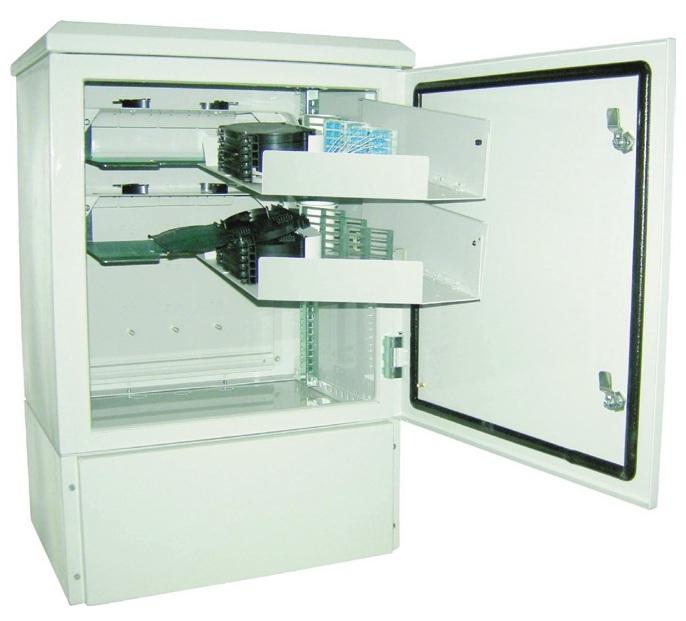 High-quality fibre optic connectivity reilies on the increased protection offered by weather-proof outdoor cabinets. Fibre splice and patch applications, FTTX distribution hubs, Applications for Passive Optical Networks (PON) and Optical AccessNetworks (OAN) as a distribution point to network terminations for hybrid access technology (fibre/copper) as an Optical Node Unit (ONU).